Limelight Communications is delighted to announce that the company has been chosen to provide PR services for the Jameson Dublin International Film Festival 2014, a key event in Dublin’s cultural calendar taking place from February 13th – 23rd 2014. Glenn Hogarty, Senior Account Director with Limelight Communications, will lead the festival PR team this year, devising and managing strategy and PR activity. 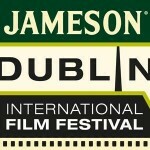 Calvary, a darkly comic thriller that reunites writer-director John Michael McDonagh and actor Brendan Gleeson will have its Irish premiere as the opening gala for the Jameson Dublin International Film Festival 2014. The gala will take place at Dublin’s Savoy Cinema on Thursday, 13th February 2014. A limited number of tickets for the opening gala screening of Calvary are currently on sale, selling fast.